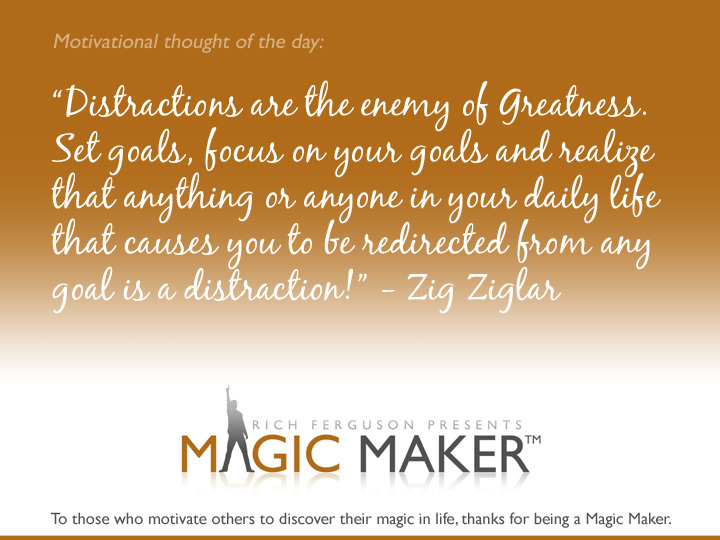 Distractions are the Enemy of Greatness! I love this quote from Zig Ziglar. Personally, I schedule every moment of my day, including "free time." Otherwise, I'd just be spinning my wheels and overwhelmed by the endless tasks in front of me. Setting daily, weekly, monthly and yearly goals changed my life and workflow. 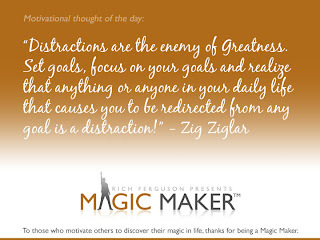 When it comes to minimizing distractions, it's more important to me than working hard! If most American's are honest, they'd admit they only do a few hours of productive work a day out of the several they attempt to work. The rest is spent over managing the tasks, talking with coworkers, checking emails, moving information from one gadget to the next, watching TV, gossiping, etc, etc. 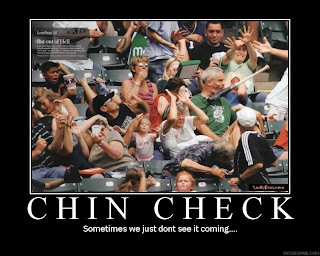 When the time comes to really try to work, any distraction will set you back 20 minutes because you loose concentration, momentum and more. It's like working hard to fill a bag of sand with a rip in it instead of fixing the rip and sitting back with much less effort to keep it filled. Most of us have learned that when you buy something, finding it for cheaper SAVES us money. We need to be honest and realize that reducing distractions save us time, money and EFFORT as well. Consider conveying some rules and expectations to others in your workspace and accomplish your goals with less effort, frustrations and distractions. "Thank you for visiting my Magic Maker™ website. I hope I can appear at your conference, dinner or program and share my unique story and observations about attacking life."